Small, but mighty our mini leather pencil case is just what you've been looking for. 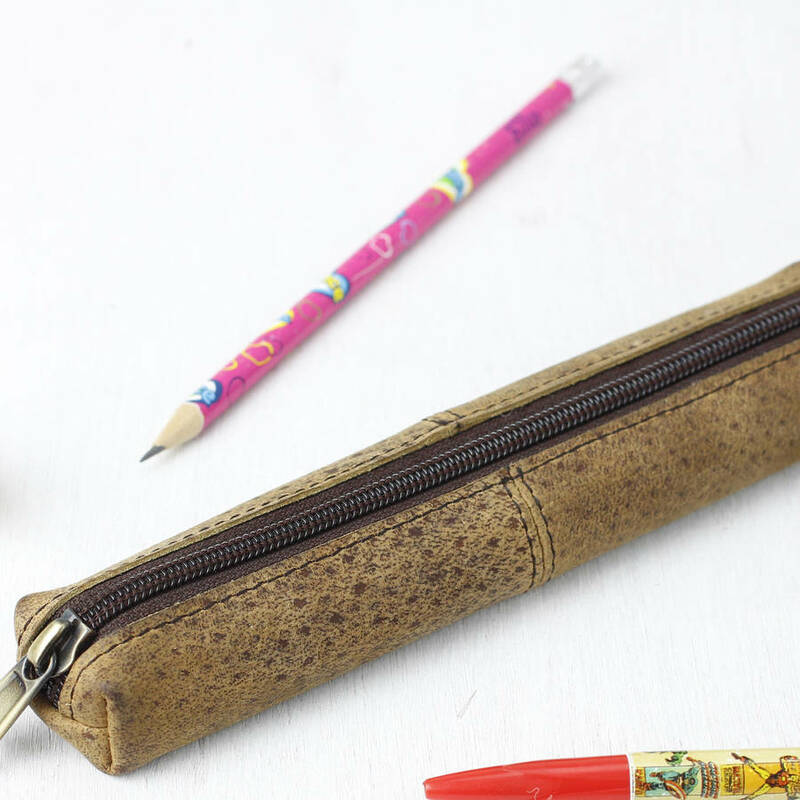 This mini pencil case holds up to 5 or 6 pens or pencils and remains compact enough to toss in any bag of yours. 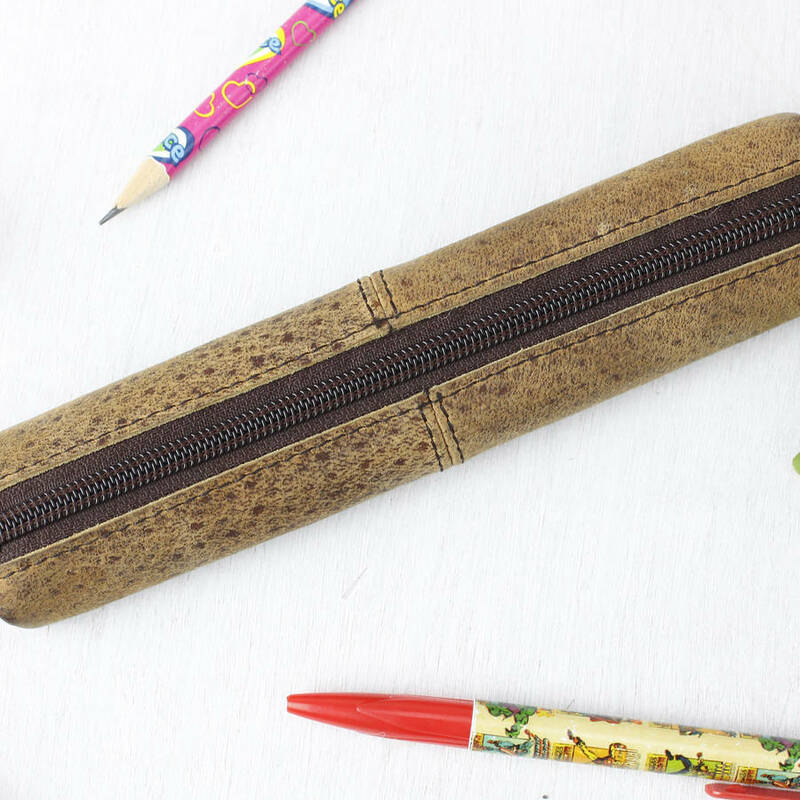 If you don't carry pens anymore, then this slimline case will also hold makeup brushes, slim art supplies, insulin and medical equipment, reading glasses or more. 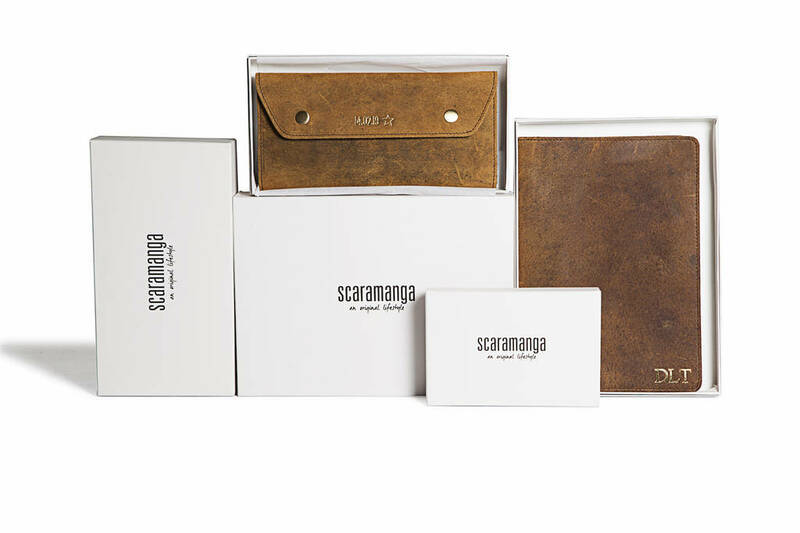 Made from the same distressed vintage style leather as our leather satchels, this is the perfect gift! 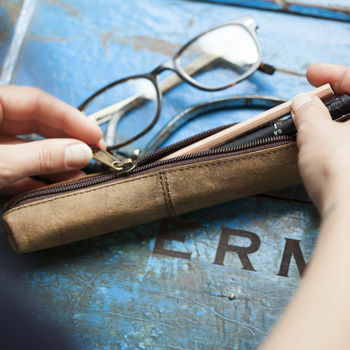 Our black Hunter leather has been specially tanned and finished to have a distressed vintage leather effect, which means over time and with exposure to sunlight the leather's initial black colour will fade to a grey or dark aubergine colour.